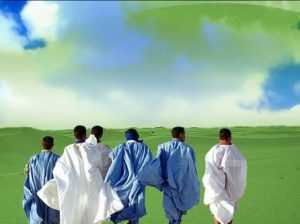 The first time I met Yacine Ould Nana was in a crumbling mansion in the posh neighborhood of Nouakchott. I was sitting on the floor recording the rambling songs of his brother when he marched in. “39th and Lexington,” he said, to my confusion, and then launched into his recollections of New York. By the time I met Yacine, the family had become somewhat marginalized and estranged from social circles. 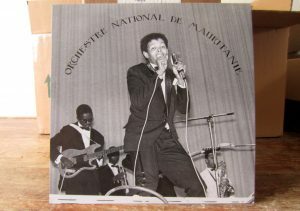 Yacine was remembered for once being the superstar of Mauritanian pop, but no longer performed and was often dismayed. Until we’d talk about New York. I think he would have agreed that Nouakchott was too small for him. When night fell, and the cold desert wind swept over the quiet streets, Yacine was still dreaming of something bigger. Yacine Ould Nana passed away in June. Wow! What an awesome track, love his moves! This video just made my Saturday evening. Thanks!